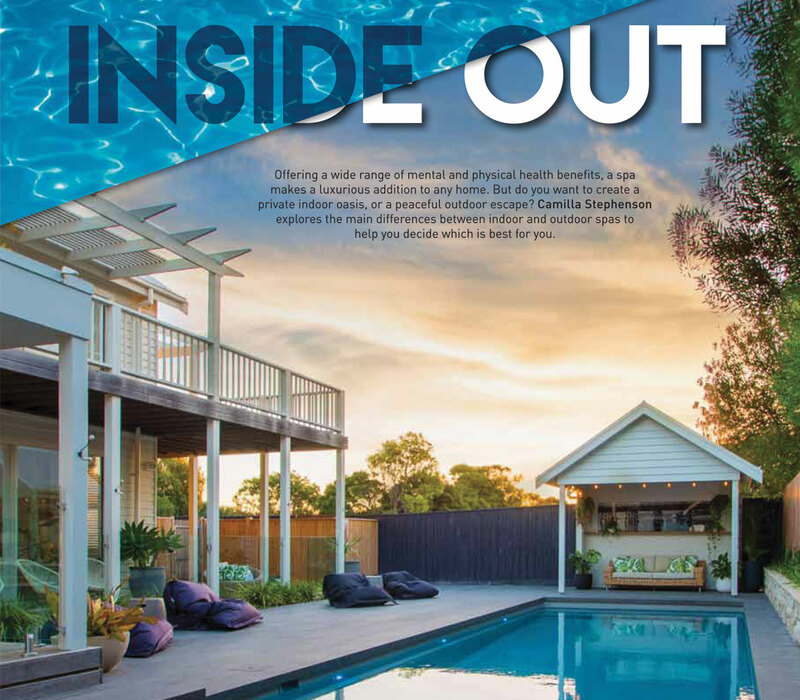 With most of the Australian population residing in urban areas, and high-density living reducing the size of property blocks, it’s not surprising that many homeowners are opting to install a spa rather than a large swimming pool. Not only does a spa leave more space to establish a flourishing garden or another backyard feature, but it offers enjoyment throughout the entire year. It’s commonly known that a spa can significantly improve your health. Through gentle hydrotherapy, aches and pains are minimised, and sleeping well becomes easier as anxieties are put to rest thanks to the calming effect of water. Once you’re sure a spa is for you, you’ll next need to decide whether it’ll be installed indoors or outdoors. 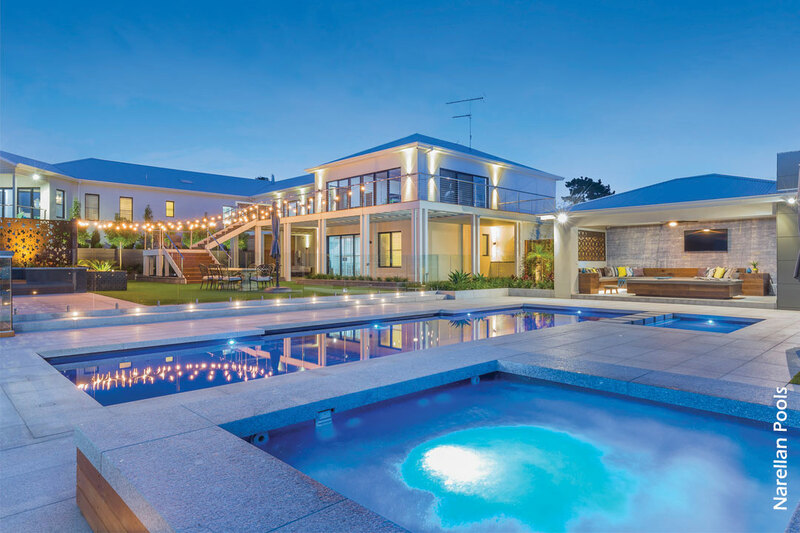 Sydney Pool + Outdoor Design looks at the key points to consider when weighing up the two options. surrounding nature from the comfort of your own backyard, a spa is guaranteed to add luxury to your lifestyle. It will encourage family activities to take place outside, and after a working week, the opportunity to unwind in the hot water and bubbles is highly anticipated. Choosing the perfect location for your spa requires a little more thought than simply considering its proximity to the drinks fridge. A completely flat and level surface is imperative for your spa to be stable. If you have a sloping backyard, or plan to position your spa on an existing deck area, a solid foundation that can hold a minimum of 500kg per square meter is required. It’s recommended that you consult a qualified contractor to help you achieve a suitable foundation and ensure all safety requirements are met. The position of your spa will also determine the amount of debris it will collect. To keep copious sticks and leaves from falling into your spa, and to keep it safe from falling branches, try to avoid placing it underneath trees. Specific regulations must be adhered to in order to keep your spa area as safe as possible. 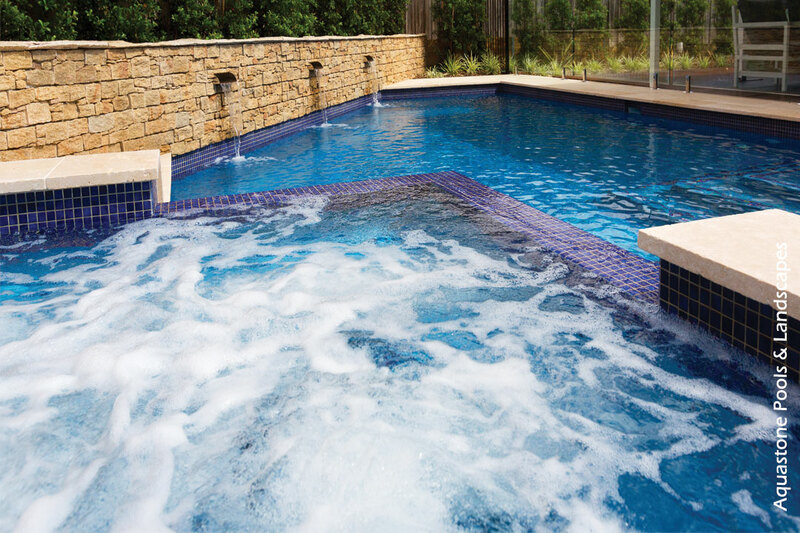 In accordance with Australian law, a building permitis required when installing, constructing or altering an outdoor spa and surrounding fence. The ideal height for a fence is 1.5 metres, and it must include a self-closing, outwards-swinging gate with a self-locking latch. enjoy it with guests. However, if you want your spa to be more of a peaceful retreat, you may want it further away. Since changing the weather isn’t as easy as altering the temperature of a spa, investing in a durable hard cover to protect your spa is highly recommended. Even if you avoid the drop zone of surrounding trees, it’s inevitable that unwanted dirt and debris will find its way to your spa over time. Choosing a good-quality spa cover is a sure-fire way to reduce time spent cleaning out Mother Nature before you want to relax. Choosing to install a spa indoors will give you the ultimate at-home haven. Unless placed in the bathroom, indoor spas typically require a separate room, as there are multiple boxes to tick to ensure you can enjoy your spa time without worry. spa’s room and minimise the risk of mould. It’s important that you consult with a trusted specialist, as the last thing you want is a noisy exhaust fan interrupting your peaceful ambiance. Granted you have the extra space, building an enclosed backyard structure to accommodate your spa may be the way to go. 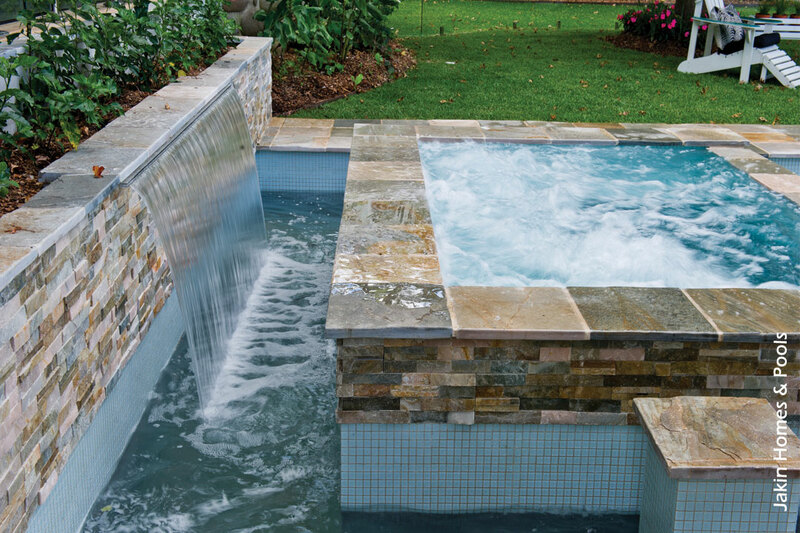 This option is highly practical if you plan on using the spa when entertaining, and will also provide privacy. Importantly, it will keep guests from traipsing through your home and leaving puddles of water behind. Like freestanding styles, a solid foundation is necessary to ensure the spa is totally stable and safe. To ensure the most relaxing experience both during a soak and after you get out of the spa, it’s important to choose the right materials for the room’s interior design. A matte non-slip tile is best for flooring to prevent accidents, while materials to avoid using include absorbent materials like wood and carpet. Making sure you install a floor drain is also a necessity to make cleaning easier. Spas require regular maintenance to control and prevent unwanted bacteria. To keep the water and bathers healthy, a high level of water quality must be maintained by monitoring alkalinity and pH levels. In addition to keeping the water clean, you also need to make sure that the shell of the spa and the filters are checked often for grime. Cleaning these with a chemical spray and warm water regularly will minimise the risk of unsanitary water. After a heavy period of use, your spa should be drained and manually cleaned before filling it again. Ideally, your spa should be drained every 3–4 months. Both indoor and outdoor spas offer a wide range of benefits for your health, your lifestyle and your home. Deciding which style is right for your household comes down to the way you want to use it. Whether you want to share your new spa with friends in the great outdoors, or you want it all to yourself as a private retreat in the comfort of your home, as long as you hold a vision in mind from the initial design stages, you’re sure to end up with the ideal aquatic relaxation station.